Atlas UK Security Services Ltd are the leading independent supplier of security services in the local area with over 50 years of combined operational experience protecting our clients properties and staff across Somerset, Dorset, Wiltshire and Southern England. Each of our clients, regardless of size receives the same quality cover tailored to their individual requirements. 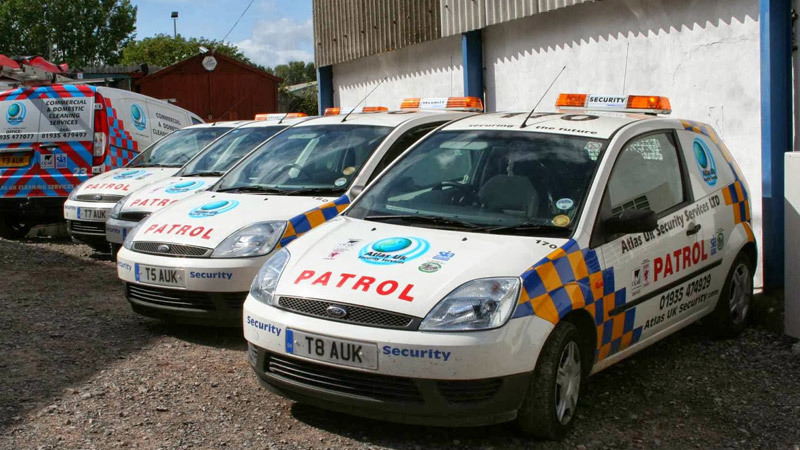 Atlas UK offers various security services from Static Guarding to Mobile Patrols and Key Holding to Alarm Response. Rather than employees being woken up in the middle of the night, your activation will be dealt with by a response team member who is mobile 24 hours a day and is ready to respond immediately. Employers are becoming increasingly responsible for the safety of their employees in a lone work situation. Health and Safety laws and guidelines are ever changing to protect employees and make employers more accountable. All of our officers are trained to deal with potential situations which could arise under alarm activation circumstances and all are in constant touch with our 24 hour control centre. Should an issue arise then a team of support officers are available for instant deployment to the effected site. Extensive preparation is applied to each key holding site to ensure reduced activation response times and to maximise efficiency on site. With activation response times up to seventy five percent faster than the national average, our local infrastructure gives us a distinct advantage over some of the large national service suppliers who have stretched their available resources. Response vehicles ranging from motorcycles to cars and vans to 4 wheel drive vehicles ensure that no matter what the terrain or weather has to offer, we can respond effectively.